Actress, singer, and dancer Allyn Ann McLerie (b. Grand-Mère, Québec, 1 December 1926) worked in the musical theatre of the 1940s and ’50s with the most outstanding of Broadway’s choreographers and directors: Jerome Robbins, Agnes de Mille, George Balanchine, Bob Fosse, George Abbott, and Moss Hart. Even though the only Award she ever won was the Theatre World (1949), every musical show she starred in – except the last – was a great hit. In the mid fifties she turned to dramatic roles in film and television, scoring over the course of her career eighteen large-screen movies, fifteen movies made for TV, and appearances in 40 different television series. Born in Canada and raised in Brooklyn, McLerie made her Broadway debut as a teenager in the dancing ensemble of S.J. Perelman, Ogden Nash, and Kurt Weill’s One Touch of Venus (1943). 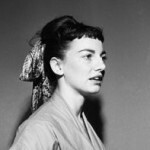 In 1944 she started as a dancer in On the Town, and eventually replaced Sono Osato as Ivy Smith, “Miss Turnstiles.” (It was undoubtedly in the cast of On the Town that she met her first husband, Adolph Green.) In the 1948 Broadway production of Where’s Charley? with Ray Bolger and Doretta Morrow, she created the role of Amy Spettigue, winning a 1949 Theatre World Award, and repeating her performance in the 1952 Warner Brothers film version. 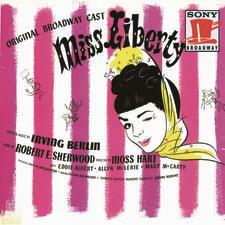 Other Broadway performances included Miss Liberty (1949), the drama Time Limit (1956), Redhead (1959, understudying Gwen Verdon), and the 1960 revival of West Side Story, as Anita. McLerie’s last appearance on the Great White Way was in 1963, eight roles in a musical revue called The Beast in Me, based on James Thurber’s Fables for Our Time. It was a complete flop. In 1950 and ’51 McLerie made a short but impressive detour into the international world of ballet as a guest soloist with the American National Ballet Theatre on its tour of Europe and South America. Also on the roster were Alicia Alonso, Igor Youskevitch, Mary Ellen Moylan, James Mitchell, John Kriza, and Charlyne Baker, performing George Balanchine’s Theme and Variations (Tchaikovsky), Anthony Tudor’s Pillar of Fire (Schoenberg), Marius Petipa’s Pas De Deux from The Sleeping Beauty (Tchaikovsky), and Agnes De Mille’s Rodeo (Copland). Although she had sung, uncredited, in a brief nightclub scene in the MGM film Words and Music (1948), about the music of Rodgers and Hart (the stars were Judy Garland, Lena Horne, June Allyson, Perry Como, Gene Kelly, and Mickey Rooney), Allyn McLerie began her film career in Warner Brothers musicals: after Where’s Charley?, The Desert Song (1953) with Gordon MacRae and Kathryn Grayson, and Calamity Jane (1953) with Doris Day and Howard Keel. Before her contract expired, Warner put her into a horror flick and a war picture, Battle Cry (1955). During this period she was billed without her middle name. McLerie’s best-known non-musical film roles are Shirley in They Shoot Horses, Don’t They? (1969), the Crazy Woman in Jeremiah Johnson (1972), and Rhea Edwards in The Way We Were (1973). She enjoyed a long career as a character actress on television, making frequent guest appearances on Bonanza, The Waltons, The Love Boat, Barney Miller, Benson, Hart to Hart, St. Elsewhere, and Dynasty, among many others. She played Miss Janet Reubner, Tony Randall’s assistant, on The Tony Randall Show from 1976 to 1978. McLerie played the recurring role of Arthur Carlson’s wife Carmen on WKRP in Cincinnati (1978–82). Probably her best remembered television role was Florence Bickford, the mother of the title character in The Days and Nights of Molly Dodd from 1987 to 1991. Her last role was on an episode of Brooklyn Bridge in 1993. McLerie divorced Adolph Green in 1953, and married actor George Gaynes some months later. Their marriage has now lasted 59 years. Having raised two children, they now enjoy retirement in California.